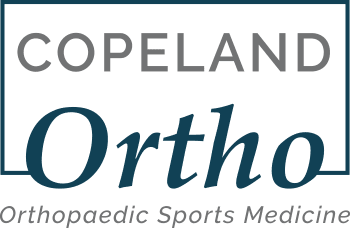 Dr. Copeland is a Fellowship trained, Sports Orthopedic Surgeon who will take the time to listen to your personal pain and seek the best solution for your needs. Through years of meticulous dedication to treating aches, breaks, and pain, she has developed a skill set that will help you get back to the quality of life you deserve! One of the great things about receiving treatment at Fondren is that you can receive all your treatment at the same location. Many therapeutic alternatives to surgery exist and at Dr. Copeland’s office sometimes the next step for recovery is a short walk down the hallway. On-site therapy and rehabilitation recovery is one of the many great benefits to being treated at Fondren by Dr. Copeland. She has a personal relationship and understanding with the therapists on staff allowing for direct communication about your specific needs for recovery. The professional and friendly physical therapists are ready to help you get back to being fully you by offering strength training, manual therapy, and assorted treatments designed to help you get back your full range of motion and happy, healthy lifestyle. These include ultrasound and e-stim, both clinically proven to help recovery for indicated conditions. In some cases, therapy actually begins before surgery. By increasing the patient’s range of motion and strength prior to an operation, recovery time can actually be shorter. Ask Dr. Copeland about all options to minimize your pain and strengthen your body. Some aches and pains don’t need surgery. But how do you know? That’s why it is always important to have a doctor your can trust, like Dr. Copeland, who will give you all the facts and options so you can make the decision that is right for you based on your needs as the patient. Sometimes it is a good decision to try other options before surgery. Compound cream prescriptions are not an over the counter drug you can get at the local pharmacy. These creams provide extra relief and work extremely well for many patients. This is just another option for pain relief that may be right for you and should be discussed further with Dr. Copeland. Often times when watching a sports match on TV, a side-line announcer may give a locker room report about an athlete who was injured in the first half of the game. The reporter may say something about the player receiving an injection before returning for the 3rd quarter of play. This injection they are talking about is usually a legal, doctor administered steroid. These steroid injections are used to calm the pain. Sometimes their effect is calming enough to avoid surgery. In cases where surgery is inevitable, they may delay the need for immediate surgery or help with pain up until the time of the necessary procedure. Steroid injections have the benefit of being placed deep inside the body, right into the source of the pain, unlike over-the-counter topical creams and balms which stay on the surface. With some clinics, Durable Medical Equipment (DME) such as a knee brace or a fracture brace must be ordered and can take days or weeks to come into the office where the patient must wait and return again to be fitted. At Fondren Orthopedic Clear Lake, Dr. Copeland is able to offer same day bracing for most diagnoses. This means quicker service and valuable saved time for the patient. Fondren’s professional office building keeps most required braces in stock and ready to help patients find comfort before and after treatment. Dr. Copeland and her staff are prepared in advance for your needs. Ask Dr. Copeland if a steroid injection can help you feel better today! Dr. Copeland’s staff offers same day, on-site casting for non-operative fractures and injury stabilization. Once diagnosed by Dr. Copeland, the professionally trained casting and brace technician is able to get you fitted and on your way without another trip to the hospital, once again saving valuable time for the patient! On-site casting now includes new waterproof and removable casting when indicated! Ask about these during your visit. Fondren’s in-house visual diagnostic tools allow Dr. Copeland to get you answers about your pain quicker! The on-site, state of the art digital X-ray provides internal imaging of bone breaks and fractures straight to Dr. Copeland’s computer screen in a matter of seconds. The MRI on location means affordable scans and no long waiting for scheduling at a big hospital. Sometimes patients can even receive same day scanning. And since the MRI is designated for viewing extremities, it has no closed tube, so there is little need to worry about claustrophobia! Disclaimer: This article is not intended to diagnose or give a comprehensive overview of your pain. This content is for information purposes only. For an official medical diagnosis of your individual orthopedic pain, consult Dr. Copeland in clinic via appointment.